Gaining confidence and believing in their writing abilities are two of the tangible benefits that Boomsma and Burris say they took away from their experience in YPT. 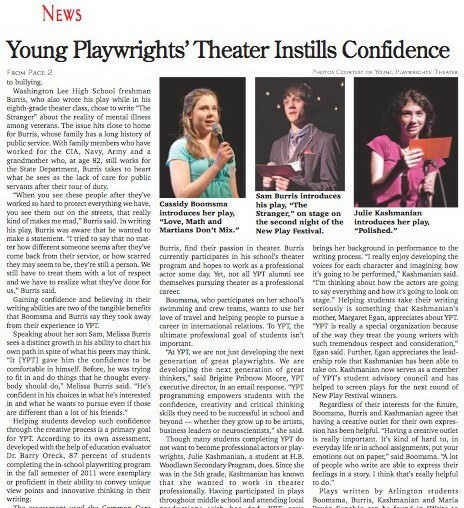 You can read the full story “Four Local Students Become Published Playwrights: Young Playwrights’ Theater instills confidence in Arlington students” on page 2 of the March 20, 2013 digital issue of the Arlington Connection. Obsessed with all of those fashion and style shows on television? Me too! That’s why I was so excited to interview Tyra Beamon and Emmanuel Egolum, two emerging fashion stylists living in Washington, D.C., for emPower Magazine. The article appears in my series “Creative Sessions,” in which I interview artists of all types about their inspirations, influences and creative process. We all know them—the guy who effortlessly rocks a blazer with a pocket square; the girl who somehow makes a basic t-shirt and jeans look fly. There are a few among us who just have it: Style. Tyra Beamon and Emmanuel Egolum are two of those people, and as two of Washington, D.C.’s, emerging fashion stylists, they are using their passion to help the rest of us. Check out the full story “They Got Style: A Creative Session with Stylists Tyra Beamon & Emmanuel Egolum” and don’t forget to leave a comment on emPower Magazine’s website and let me know what you think! 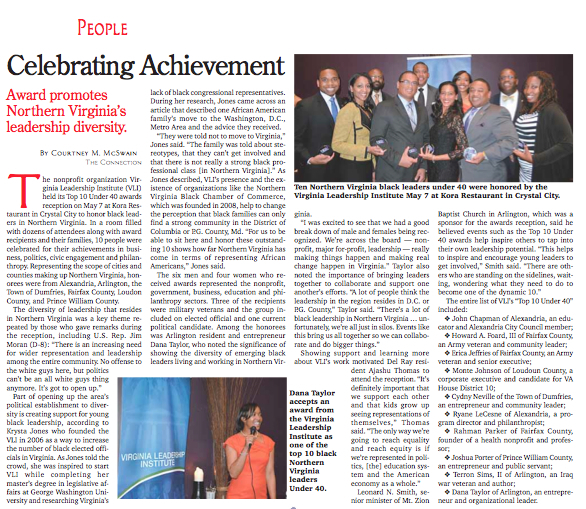 Read the full story “Grassroots Giver: Capital Cause is the New Face of Philanthropy.” And don’t forget to leave a comment on emPower Magazine’s website and let me know what you think! In November, I had the great pleasure of writing a story about Derrick Weston Brown, a Washington, D.C.-based poet, for emPower Magazine. The article appears in a series called “Creative Sessions,” during which I interview artists of all types about their inspirations, influences and creative process. Check out the full story “The Poet Bears Witness: A Creative Session with Derrick Weston Brown” and don’t forget to leave a comment on emPower Magazine’s website and let me know what you think!